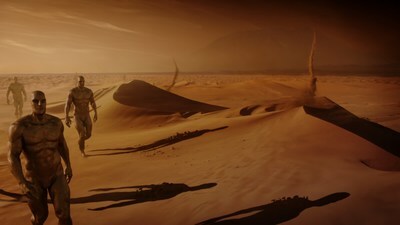 PARIS, Feb. 11, 2019 /PRNewswire/ — Today, Hennessy released an epic short film by legendary director Ridley Scott who visualizes the odyssey experienced in every sip of Hennessy X.O. The campaign was created by the advertising agency DDB Paris, creative partner of Hennessy. The luxury spirits brand also announced that a 60-second version of the film will premiere in the US during The 91st Oscars® airing Feb. 24 on ABC, amplifying the cinematic flair of the campaign on one of Hollywood’s most celebrated nights. Complementing the idea that “Each drop of Hennessy X.O. is an Odyssey,” the Academy Award® nominated director of the films The Martian and Gladiator as well as cult films Alien and Blade Runner, creates a visual journey that explores the seven flavor profiles in a surreal, sensorial and immersive narrative. The film is a creative interpretation of each of the seven tasting notes, described by Hennessy’s Comité de Dégustation as illustrations of Hennessy X.O’s taste and feel: Sweet Notes, Rising Heat, Spicy Edge, Flowing Flame, Chocolate Lull, Wood Crunches; culminating in Infinite Echo. “When we embarked on this adventure, we dreamed of creating a film that is truly different. But even in our wildest dreams, we did not imagine we would be going to so many incredible new worlds. Together with Hennessy and Ridley Scott, we hope to have achieved a new benchmark in advertising,” says Alexander Kalchev, Executive Creative Director at DDB Paris. 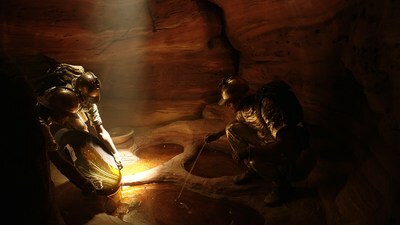 See the full film, as well as a ‘making of’ video, behind-the-scenes content, and an interview with Ridley Scott, at thesevenworlds.hennessy.com. Follow @Hennessy on Instagram and #TheSevenWorlds to further explore the worlds of Hennessy X.O. In 1995, Scott formed Scott Free Productions to serve as a production company for his film and television projects such as Hannibal, Man on Fire, American Gangster and Concussion, the critically-acclaimed CBS drama, The Good Wife, and the hit telefilms Killing Lincoln, Killing Kennedy, and Killing Jesus. The leader in Cognac, the Maison Hennessy has shined around the world with its exceptional know-how for more than 250 years. Built on founder Richard Hennessy’s spirit of conquest, the brand is present in more than 130 countries.